Dr. Steve G. Jones talks about his experience with Bravo TV’s hit show Millionaire Matchmaker and his career in hypnotherapy, his book, You Can Attract It, and how hypnosis and the law of attraction can work together, programming your mind to be positive. 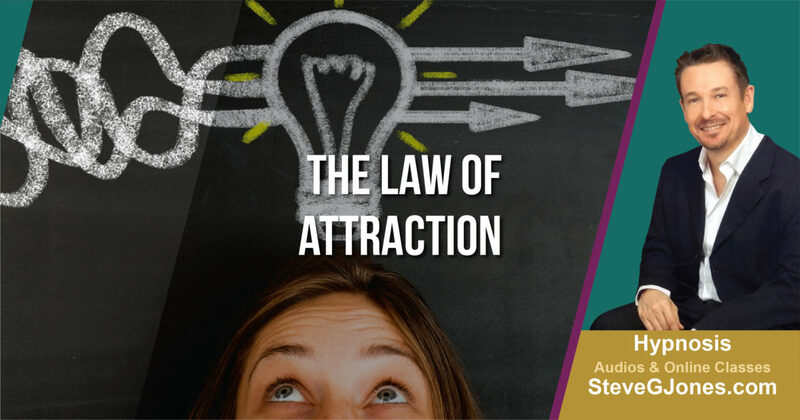 Then learn about Dr. Steve uses the Law of Attraction in his life by intentionally placing what he wants to manifest in the forefront of him mind and using hypnosis to clear out the cobwebs. Also, how our vibrational level affects our goals and efficient vs. inefficient methods of change. Here is a free hypnosis session designed to help you increase your positive use of the law of attraction. It does not contain music or binaural tones (the enhanced law of attraction hypnosis mp3 does).